As soon as the month of December comes along, we all start looking through our closets for warmest sweaters we’ve got. While they might not be the most attractive, the ugly sweaters are usually the warmest and most comfy. Show no shame at the Ugly Sweater Pub Crawl while showcasing your silliest sweater. Dressing up isn’t mandatory, but from recent years, the festive sweater attire definitely lightens the mood and brings a great atmosphere to the bar crawl. Show off your ugly sweater while taking advantage of awesome drink specials at your favorite bars. Where else would you rather be on a Saturday in the month of December? This is a time of year for celebratory events and fun-filled times. We’ve got the beer, the cocktails, the drinks, now all you need to do is get your ugly sweater ready! 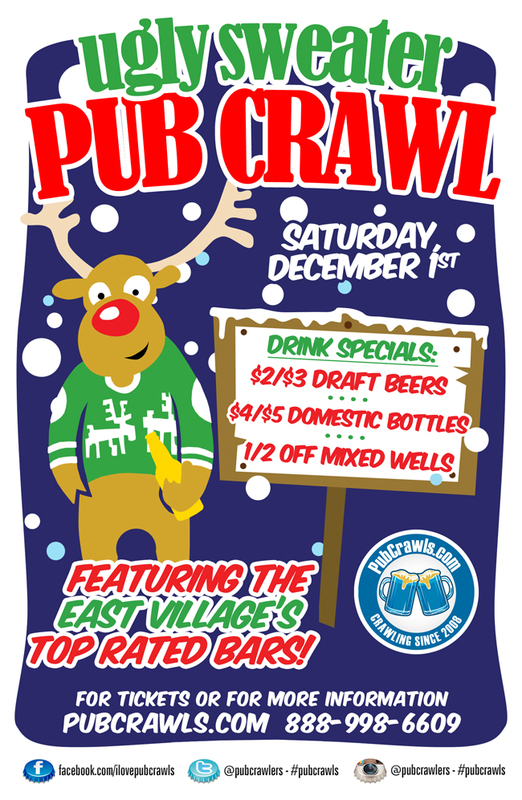 The 8th Annual New York City Ugly Sweater Pub Crawl features up to ten of the East Village’s top rated venues. 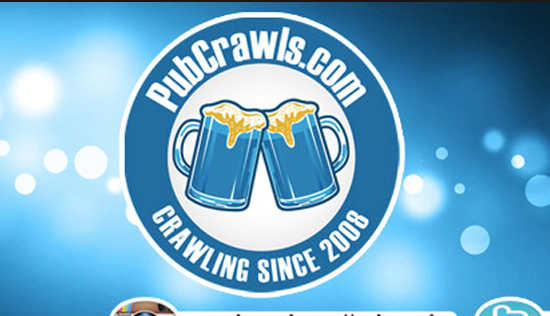 At registration, you’ll receive your official PubCrawls.com wristband and map of all the participating bars. We carefully select our bars for this event every year considering the best food and drink specials for our crawlers. We all have that one ugly sweater in the closet that we dread wearing. But guess what!? This is a perfect time. New York’s annual Ugly Sweater pub crawl is the time of the year when all New Yorker’s can take out that ugly sweater and be among the most joyous and cheerful partygoers in the city. Specials include $3 draft beers, $4 domestic bottles, 1/2 priced well drinks, and much more. Grab your friends and spend a night out in the East Village, visiting some of the best bars New York City has to offer while looking your ugliest! Participating venues include Bar None, Bling Pig, Crocodile Lounge, Spotted Owl, Pinks Bar, Local 138, & more!